Postcard US-3149031 to China shows the lawn at the University of Virginia in Charlottesville, Virginia. 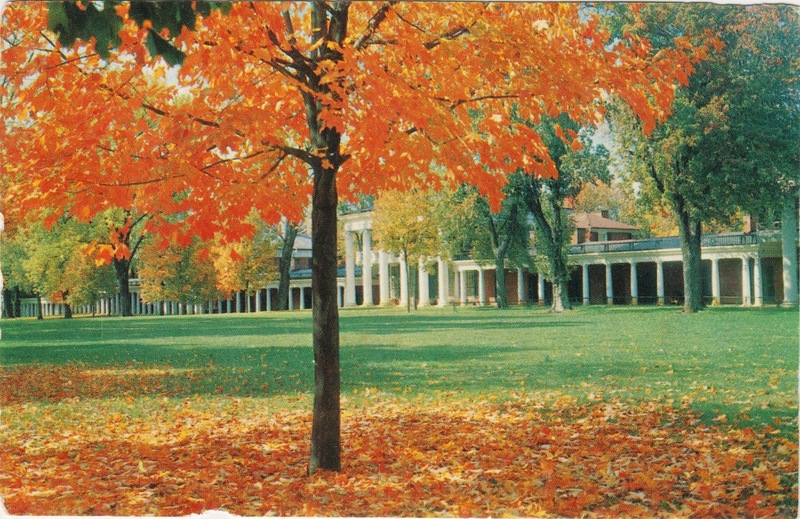 Established in 1819, the central quadrangle was designed by Thomas Jefferson. He planned the two story Pavilions as homes for professors, who lived upstairs and taught downstairs. Between them are rows of single rooms where students have lived since 1825. It's part of the Monticello and the University of Virginia in Charlottesville World Heritage Site recognized by UNESCO in 1987.